Channel member power; coercive and non-coercive sources of power. 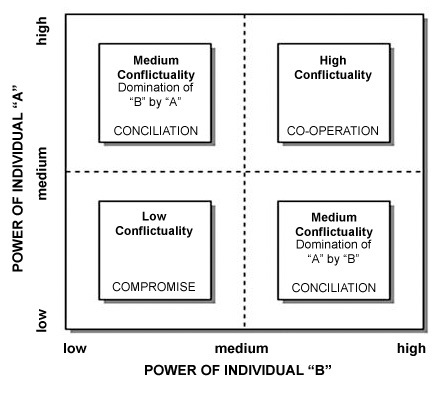 Channel-internal conflictuality: origins and effects. Historical evolution of relationships within distribution channels. Expansion of the value chain through systemic vertical co-operation. 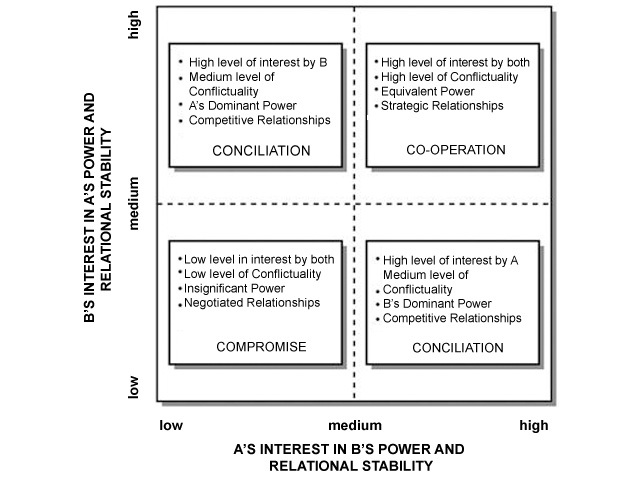 Channel-internal conflictuality and the strategic/tactical value of relationships between operators. 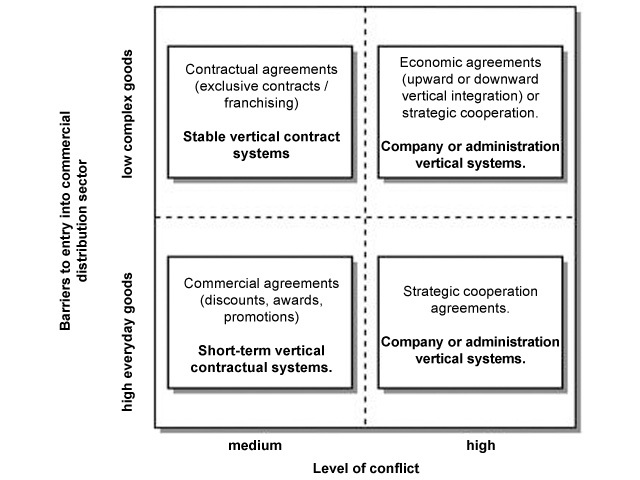 Effects of a vertical integration strategy for manufacturers and obstacles to its success. Trade marketing and re-engineering of distribution channels. DPC/DPP technique and its utilisation to maximise output along the whole chain. Lack of specialised trade operators. Channel Leadership left up to the merchant. Vertical integration downstream from industry (brand loyalty). Increase in distributors’ negotiating power (store loyalty). Partnership with no recognised leadership. A channel can be considered as an extension of a value chain, which oversteps the boundaries of a manufacturing company so as to reach the end-user. The channel creates a value surplus in those cases where there is a positive difference between the marginal utility of an acquisition (including goods and services, and the relative production cost. There will always be a “useful” value (value of use) so long as the consumer is available to sustain a precise monetary sacrifice (price) in order to have in exchange a specific product. Value of use created in the channel can be maximised by co-ordination and co.operation, thus activating an “evolutionary spiral” at the base of those processes which spread the innovation. This type of approach is based on the modification of inter-company buyer-seller relationships, in favour of co-operation in the various functional areas. Models such as Direct Product Profitability enable focus to be put on the contributions of single products to overall channel income. Managerial skills not always adequate. Downstream from manufacturing activities we can observe the widespread use of managerial solutions related to the management of distribution flow based on contractual regulations. In recent years there has been an exceptional development of a particular form of control of relationships relating to vertical systems of sales, regulated by legal mechanisms: franchising. This contractual form is an alternative to vertical integration which favours the spread of innovations through the “low cost” channel, provided it is possible to establish between franchisor and franchisee a climate of co-operation, which recognises the respective roles they play in the system. Downstream from manufacturing activities, we can observe the widespread use of manegerial solutions, related to the management distribution flow based on contractual regulations. In recent years there has been an exceptional development of a particular form of control of relationships, relating to vertical systems of sales, regulated by legal mechanisms: franchising. This contractual form is an alternative to vertical integration, which favours the spread of innovations through the “low cost” channel, provided it is possible to establish between franchisor and franchisee a climate of co-operation, which recognises the respective roles they play in the system. Upgrade commercial organisational structures in line with changes that have taken place in the distribution system. 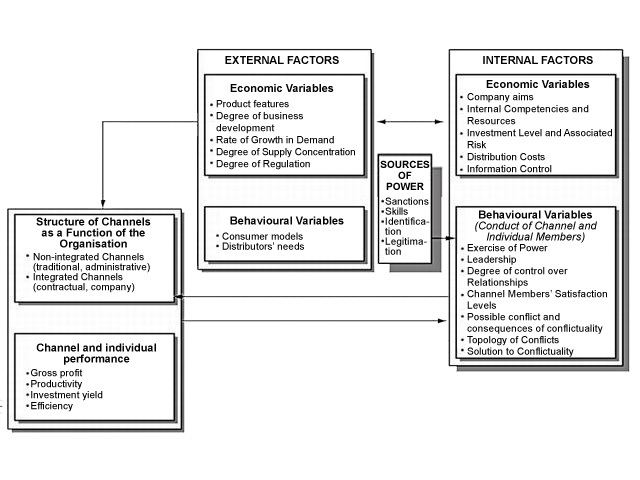 In recent years, some large manufacturing and retail companies operating in the mass consumer market so as to protect the market of their brand products, have carried out a critical review of all productive and distribution activities, named ECR (Efficient Consumer Response), the aim of which is to make the whole channel more efficient. This programme has yielded experiments in the context of the sub-project known as CRP (Continuous Replenishment Program), which aims to verify the realistic applicability of the producers’ automated procedures which aim to replenish stock levels in the distribution centres, based on real-time exchange of data. 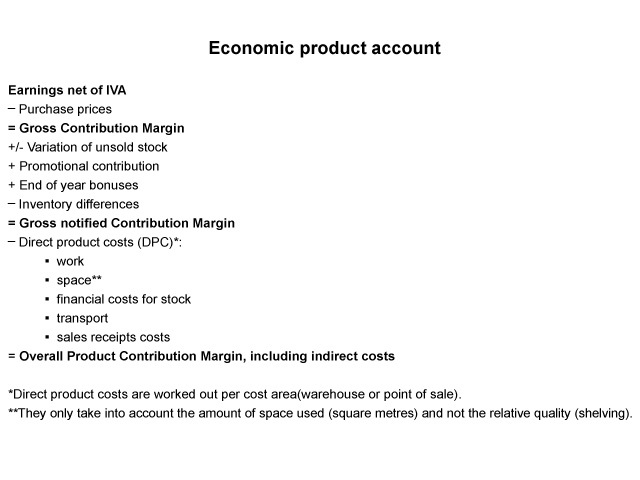 Direct Product Cost and Direct Product Profitability is a useful management tool for the measurament of the degree of potential gross income for each of the products in any given assortment.